This morning I read Roger Oakland's latest commentary titled, Rick Warren and the Chaplet of Divine Mercy. The article discuss Warren's recent interview on the Roman Catholic channel, EWTN and the controversial statements made by a this very popular modern day preacher, a.k.a, "America's Pastor." For me, that title alone should be cause for concern. Though claiming not to compromise biblical truth, Warren's own words condemns him of deception. In a recent interview, Saddleback’s Rick Warren went on the Catholic Wordlwide EWTN channelA. This interview is a clear picture that Warren preaches his Purpose Driven ideology, and not the true Gospel of our Lord Jesus Christ. The Vatican recently sent a delegation, about 30 bishops, from Rome to Saddleback, to talk about the "new evangelization", which Rick Warren claims he fully supports. By the way, Rick Warren does not look at Roman Catholicism as a false religion, but a true religion. Then again, Warren believes that there is truth in all religions. I should probably state that I am not against catholic people who sincerely believe that Roman Catholicism is the one true faith. I don't hate Catholics. I desire that they come to BIBLICAL SALVATION and the TRUE CHRIST of the Bible. What is the "New Evangelization" by the Catholic Church? The New Evangelization targets Christians, to "come home" to the "true" church. It is a program designed to win the world to the Eucharistic Christ. Aritcle: The Road to Rome: The New Evangelization Plan to Win Back "the Lost Brethren"
We'd better wake up, fellow born again saints, or we too will be swept away in this swill of end time apostasy. Rick Warren is working very hard at "bridging" or unifying all religions/cults of the world to promote a non-biblical social justice. Warren has compromised the faith with Islam, Mormons, the New Age gurus and even the Roman Catholic church. This is NOT biblical Christianity! denominations. Then it moves on to acceptance of cults. Finally it ends in a desire for unity with other religions, evolving into what is called "Interfaith". Rick Warren believes that the Roman Catholics are our brothers, that the Mormons are our brothers, that the Muslims are our brothers, that everyone is our brother....Is that true? 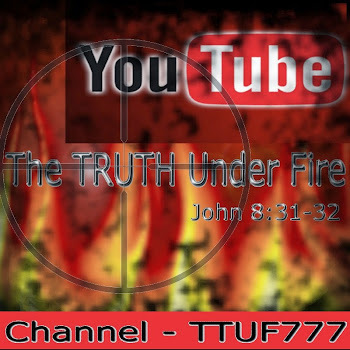 Religions that teach falsely are FALSE and they are leading millions to everlasting damnation! We don't "join" with them for the betterment of the world, we contend for the faith. This world needs the gospel and rebirth, and this world is heading for judgement! Warren is traveling the globe in an effort to unite the world's religions into one "big universal umbrella". Of course, this type of activity is setting up the world's religion as a One-World Religion, in fulfillment of the Book of Revelation. Those with the discerning eye of faith in God's Word will see the outline of the formation of the New World Order Religion, that worldwide religion which Antichrist and the False Prophet will lead, and that false religion which shall require all people to take the Mark of the Beast -- or die! This is the direction the Bible says mankind will follow during the End of the Age. And, Rick Warren with his Purpose Driven Life is helping millions of people down this eternally fatal path! Do not be deceived! These events prove that the End of the Age is roaring down upon us with the force and speed of a freight train. Spiritual deception is the order of the day. Rick Warren, church growth guru and pastor of the Southern Baptist-affiliated Saddleback Valley Community Church near Los Angeles, California, teaches pastors to use worldly music to draw a crowd and to focus their message on the positive and to avoid controversial and divisive doctrinal issues. 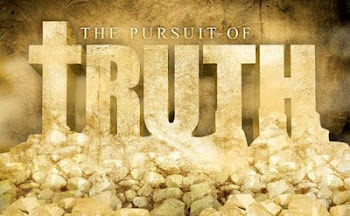 Perhaps his lack of love for the truth is the very reason he is so willing to compromise the truth. He cites Billy Graham, the king of ecumenical “positive onlyism,” as his model. Since Mr. Warren has asked his question, I have decided to answer it. The reason we need to be divisive is because God has commanded us to preach all of His Word and to “reprove, rebuke, exhort” (2 Tim. 4:2). The emphasis in 2 Timothy 4 is as much “negative” as “positive.” That is the preacher’s divine standard. God has commanded us not only to believe sound doctrine but also to earnestly contend for it (Jude 3). That means we are to fight aggressively against that which is false. This is exactly what we see in the uncompromising ministry of the Lord’s apostles. Their epistles contain strong and clear warnings about false teaching. Paul often named the names of the false teachers. Such a ministry naturally causes divisions between those who are committed to the truth and those who are following error. The apostasy of our time is much advanced in comparison with that of the days of the apostles (2 Tim. 3:1-13; 4:3-4). The Holy Spirit warned that “evil men and seducers shall wax worse and worse, deceiving, and being deceived” (2 Tim. 3:13). That is the story of church history. The apostasy that was just beginning in the days of the first churches grew quickly as the centuries passed, eventually producing the Roman Catholic Church, and it has continued to grow and spread throughout the age. The Bible warns that just prior to the return of Christ, the apostasy will be almost complete. Thus preachers today are obligated to be even more aggressive and more divisive, if you will, than the apostles were! That, Rick Warren, is why we should be divisive, and you will give an account at the judgment seat of Christ for promoting your unscriptural “positive-only, avoid divisiveness” emphasis. And in that day the Word of God will wash away the strong wall of church growth philosophy that you have built up to defend your methodology and by which you have duped so many. I believe this with all of my heart. And I weep over the damage that is being caused to the churches of Jesus Christ by a methodology that is breaking down the wall of separation between God’s people and the world but that is doing it under the guise of holiness and love for the truth. This philosophy of rejecting strict scriptural separation destroyed Israel of old and it will destroy every church that goes down the same road." Warren’s influence is vast. He has taught 300,000 pastors through his church growth seminars and far more through his books and videos. His influence reaches into every sphere of Christianity today, from Catholicism, to liberal Protestantism, to evangelicalism, to fundamentalist Bible and Baptist churches. As seen with the publication of Evangelicals and Catholics Together, there is a major emphasis in our day on ecumenical unity among Evangelicals and Roman Catholics. Those who promote such unity state that both are Christian and both are viable, God-honoring systems of faith. But clearly the substantial differences between the two groups render ECT a ridiculous document. Biblical Christianity and Roman Catholicism are two different religions that practice and believe different things about how one is saved, the authority of the Bible, the priesthood of believers, the nature of man, the work of Christ on the cross, etc. The list of irreconcilable differences between what the Bible says and what the Roman Catholic Church says makes any joint mission between the two absolutely impossible. Those who deny this are not being true to what they say they believe, no matter which side they are on. Any Catholic who is serious about his faith will deny what a serious evangelical Christian believes and vice-versa. Roger Oakland rightly states, "When others have pointed out the serious consequences of Warren’s departure from the faith, they have been ignored or shunned because of their concerns. Based on the evidence provided by the facts presented in this series of commentaries relating to Warren’s interview with EWTN, I challenge any blind follower of Rome to wake up and consider the consequences. What does it mean “to earnestly contend for the faith”? If Jude was in our midst today, what would he have written to the church? When he stated that “certain men” had “crept in,” what did he mean? Is sound biblical doctrine being compromised for the sake of unity in the church today? When a pastor endorses a television program that promotes idolatry, shouldn’t that pastor be called out or at least asked to give a public explanation?" This generation has itching ears, and it will not hear the preaching of God’s Word that plainly rebukes its sin and forthrightly condemns its heresies; but it eagerly hears -- yea, flocks in droves to hear -- those soft-speaking teachers that are willing to be non-divisive and tickle ears with a positive-only, non-offensive message. The same generation that hates the old uncompromising, plain-spoken, “old time” fundamentalist-style preaching, dearly loves the preaching of the Billy Grahams and the Rick Warrens and the Robert Schullers. Rick Warren claims that he has not compromised the Word of God with his principles and methods, that he has only modernized them; but when I look into the book of Acts and the Epistles I see a different kind of Christianity, a different kind of church, than the one that Rick Warren has devised. "Some who have read the previous four parts to this series dealing with Rick Warren’s interview with Raymond Arroyo of EWTN may still be asking the question: Why would Understand The Times spend so much time and energy on this topic? What is wrong with “America’s Pastor” expressing his support for the Roman Catholic Church and many of their beliefs and practices? The answer is simple. Bible-believing Christians are called to “contend for the faith”  . When a Christian leader publically makes statements or endorsements by saying or doing things that contradict the Bible, the leader needs to be addressed in a public manner so those who have been influenced can be put back on track. Tell me about your—the little breather you take in the day when you watch television. When we first met, you came up to me afterwards—I can’t believe you watch Chaplet of Divine Mercy. Warren’s main reason for watching the Roman Catholic Eternal Word Television Network is to gain a knowledge and understanding of Christian history, then there is no question he is getting a biased one-sided view. While I admit I do not watch EWTN as much as Warren apparently does (and certainly not for the same reasons), I do know that a major part of Christian history dealing with the Reformation and the Counter-reformation is not one of the favorite topics presented. Perhaps a quick review of Fox’s Book of Martyrs would be a good balance for Warren and a reminder what happened to Christians who stood up against the pope of Rome and his Jesuit enforcers in the past for believing the Word of God rather than the word of man. Arroyo responds to Warren’s statement, “Thank Mother Angelica.”  Warren than echoes, “Thank you, Mother Angelica”. “Calvary Chapel and Purpose Driven." I suppose it would be reasonable to suggest Warren was just “making conversation” with Arroyo when he made the claim that The Chaplet of the Divine Mercy was his favorite “Christian” television program and that he meant it as a joke. commandment in the Bible that states: Thou shalt not make unto thee any graven image, or any likeness of any thing that is in heaven above, or that is in the earth beneath, or that is in the water under the earth . I took the time to watch several Chaplet of the Divine Mercy programs posted on the Internet. Staring at images of “Christ” or worshipping a monstrance containing the supposed body of Christ while repeating the rosary did not bring peace and relaxation for me as Warren claims it did for him. It does not take a great deal of discernment to realize these unbiblical practices are rooted in paganism. I have decided the best way to confirm this point is to provide an Internet link to an actual Chaplet of Divine Mercy service so you can see with your own eyes what Warren and his wife Kay consider a “Christian” devotional. This is only one of many programs that you can watch that all show the same thing. Please check out this 8 minute video clip of a Chaplet of the Divine Mercy program. The scientific method provides a useful and practical way to gather facts, present a hypothesis, and then draw a conclusion. My background in science has provided a framework to present the facts in order to present my case. Pastor Rick Warren is on a dangerous path away from sound biblical doctrine towards an ecumenical apostate form of Christianity with Rome that has the potential to lead many astray. I am not the only one who sees this happening. When others have pointed out the serious consequences of Warren’s departure from the faith, they have been ignored or shunned because of their concerns. Based on the evidence provided by the facts presented in this series of commentaries relating to Warren’s interview with EWTN, I challenge any blind follower of Rome to wake up and consider the consequences. What does it mean “to earnestly contend for the faith”? If Jude was in our midst today, what would he have written to the church? When he stated that “certain men” had “crept in,” what did he mean? Is sound biblical doctrine being compromised for the sake of unity in the church today? When a pastor endorses a television program that promotes idolatry, shouldn’t that pastor be called out or at least asked to give a public explanation? Are pastors today following men primarily for the sake of success and their church-growth methods? Why are pastors who should know better remaining silent and saying nothing? Now, over five years later, the facts presented in this EWTN series confirm we were not unrealistic in the warnings that were sounded then. While not all Calvary Chapel pastors have joined hands with Rick Warren and continue to teach the Word of God faithfully every week, there are those who are highly influential in the movement who are confusing their flocks by their public endorsements. The facts have been presented and a hypothesis can be formulated that leads to a reasonable conclusion, at least for the present. My prayer is that the damage done to biblical Christianity can be corrected though open repentance and public statements that set the record straight by Warren himself and those who follow him. and exposure! Keep up the excellent works guys I've incorporated you guys to my personal blogroll. Everything you write is so good, James. But I completely disagree with you in one thing, only, in this article: that is, placing Billy Graham with those schysters Rick Warren and Robert Schuller. Rick and Robert were the same in emphasis and belief. But Billy's beliefs were not the same as theirs.....because Robert cites Billy does not mean that Billy deferred in any way to Robert or to his beliefs. Billy was definitely not a 'positive only' man: he faithfully taught about hell, sin and need for repentance. He did emphasize love, but he spoke about that: his initial revival meetings were always ended with the sermon 'Sinners in the Hands of an Angry God' ~ and I like that sermon, too ~ but he saw how Jesus led with love, to present the whole truth, including the hard truth, of sin, hell and death. Billy felt convicted to 'speak the truth in love', and began to lead with love and with gentleness, without ever compromising on preaching about sin, spiritual death and hell. Repentance was core to his presenting the Gospel. I never saw him preach, but he presented the whole Gospel without compromise. But I want to come back to the fact that I love your writings and never grow tired of learning from you,James! My apologies in this late response. There are two extremes in regards to Billy Graham: one is that he was wholly biblical and in line with all of the fundamentals of the faith. The other is that he was a false brother and a 32nd degree Mason. I don't believe the latter, but while he has preached the full Gospel (I never heard him do otherwise, including the time when I participated in one of his crusades in Syracuse, NY - my native city), there are some alarming things he has stated as his personal belief that many are not aware of. If you have a chance, check out Paul Smith's excellent book New Evangelicalism - The New World Order. Billy's association with Fuller's Seminary and other liberal schools of theology, as well as his endorsement and encouragement to Robert Schuller to get his message of "Possibility Thinking" onto television, and even gave him the suggestion for "Hour of Power" as its name.